LIU YaZhou, GANG WenZhe, CHEN Guo, SUN JingBo, JIANG Chong. 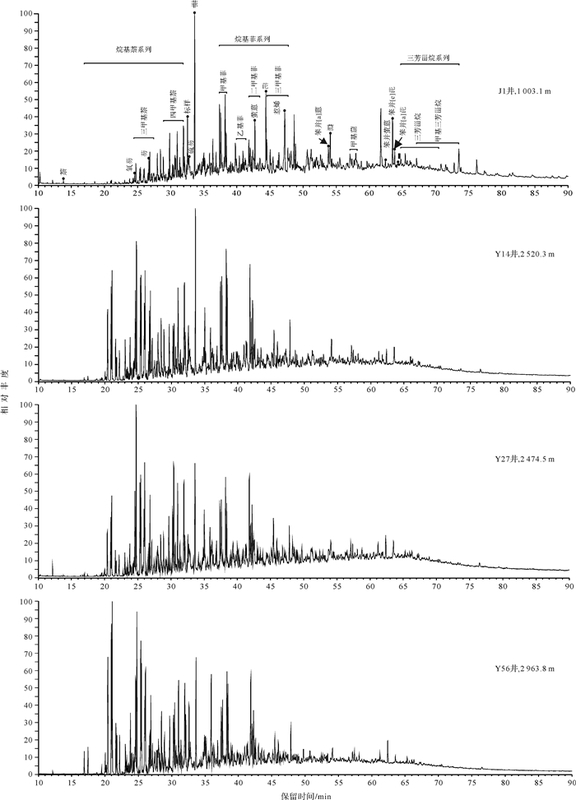 Geochemical Characteristics of Aromatic Hydrocarbons of Chang7 Source Rocks from the Yanchi-Dingbian Area, Ordos Basin[J]. ACTA SEDIMENTOLOGICA SINCA, 2018, 36(4): 818-828. Abstract: Based on the GC-MS analytical data of 16 samples of Chang7 source rocks from 13 wells in the Yanchi-Dingbian area, Ordos Basin, the geochemical characteristics of aromatic hydrocarbons of source rocks, the origins and sedimentary environments were investigated in detail, and the validity of maturity parameters of aromatic hydrocarbon biomarkers were discussed. It is shown that the source rocks in the study area are characterized by high abundance of bicyclic and tricyclic aromatic hydrocarbons, low abundance of tetracyclic and pentacyclic aromatic hydrocarbons, relatively high abundance of fluorene, relatively high abundance of 1, 2, 5-TMN and 1, 2, 5, 6-TeMN in some samples, a certain content of terrigenous biomarkers such as retene, perylene, chrysene and pyrene. 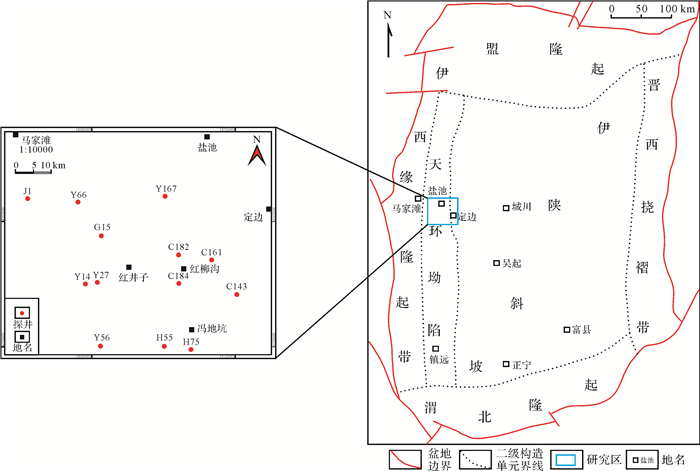 All these results indicated the source rocks of Chang7 Formation were mainly developed in slightly oxidizing-reducing shore-shallow lacustrine environment. Besides, the terrestrial higher plants input had certain contribution in the formation of source rocks. 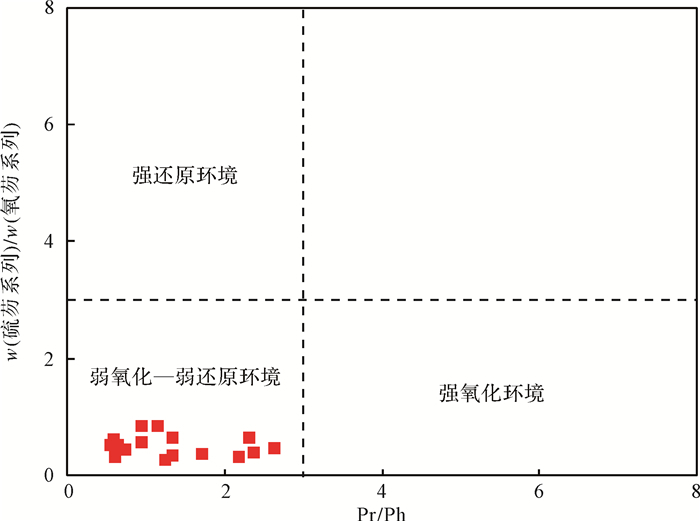 The maturity parameters of alkyl naphthalene, alkyl phenanthrene and alkyl dibenzothiophene from aromatic hydrocarbons suggested that the thermal evolution stage of source rocks reached the maturity stage. 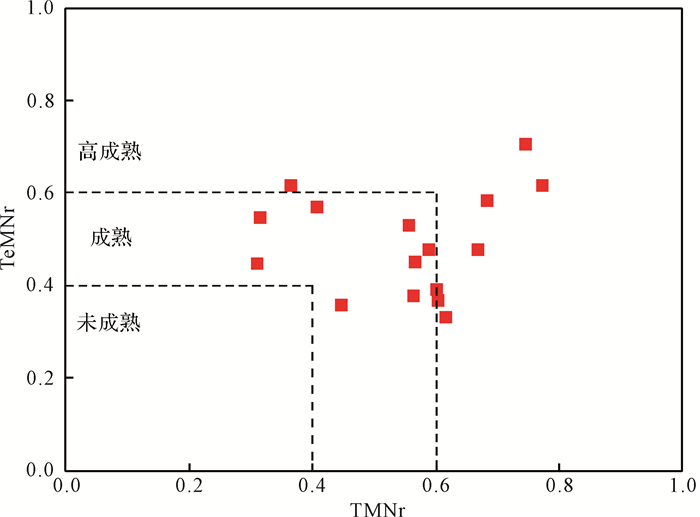 Although the equivalent vitrinite reflectance calculated by different series of aromatic compounds had some differences, it could qualitatively reflect the stage of thermal evolution of source rocks. 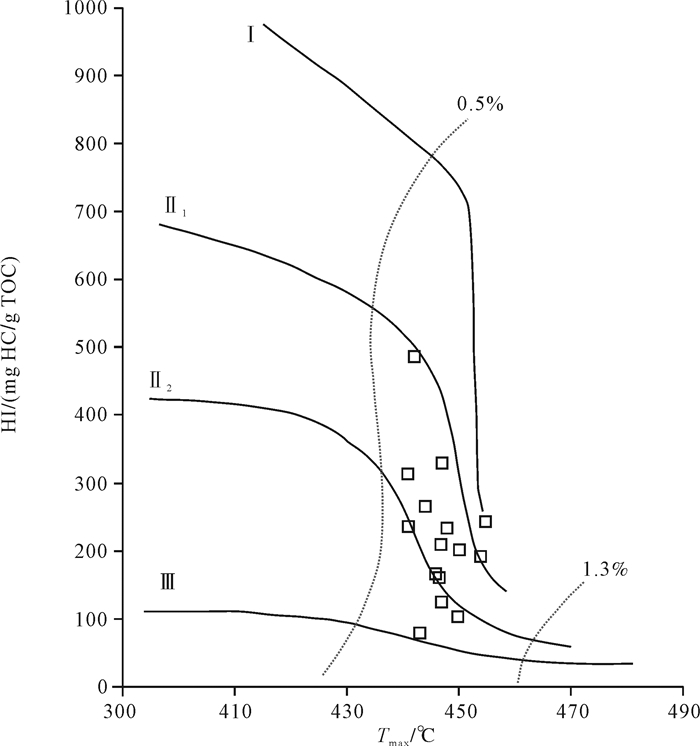 Espitalie J, Deroo G, Marquis F. Rock-Eval Pyrolysis and its application[J]. Revue De Linstitut Francais Du Petrole, 1985, 40: 748-755. Radke M, Welte D H. The methyllphenanthrene index(MPI): A maturity parameter based on aromatic hydrocarbons[M]//Bjorøy M. Advances in organic geochemistry. Chichester: Wiley, 1981: 504-512. 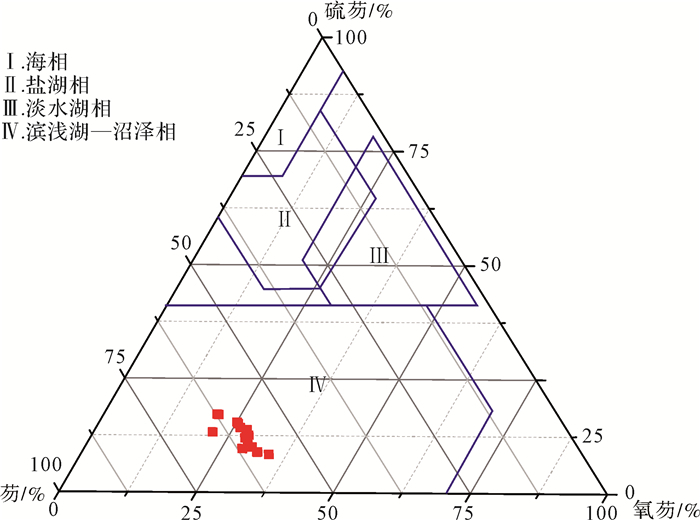 Chakhmakhchev A, Suzuki M, Takayama K. Distribution of alkylated dibenzothiophenes in petroleum as a tool for maturity assessments[J]. 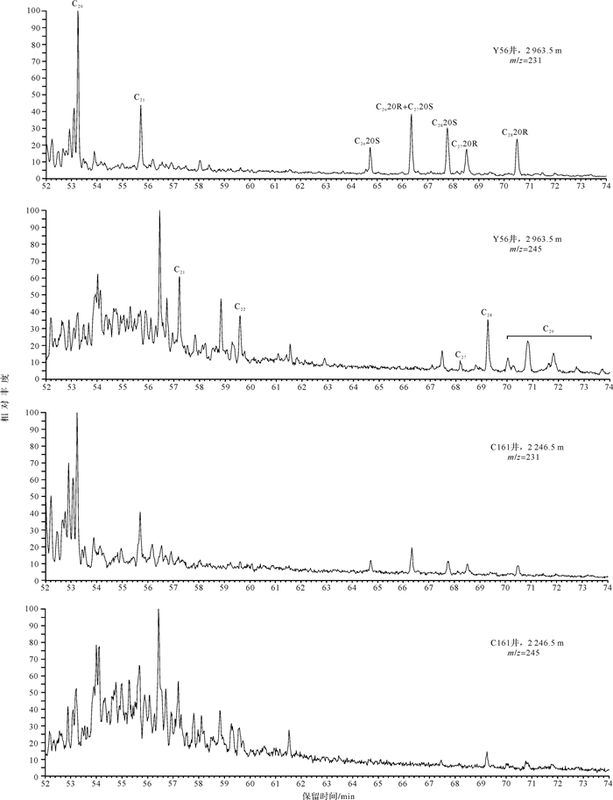 Organic Geochemistry, 1997, 26(7/8): 483-489.